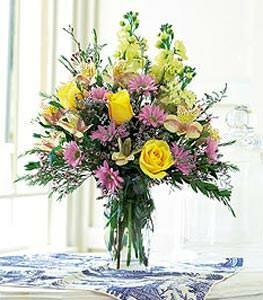 This yellow and lavender beauty will radiate nothing but warmth and cheer. The perfect remedy for getting well soon. Alstroemeria, chrysanthemums, roses and stock arrive in a clear glass vase.